Critics of the Supreme Court’s 2010 ruling in Citizens United argued it would lead to a flood of corporate and union cash that would warp electoral and policy outcomes. 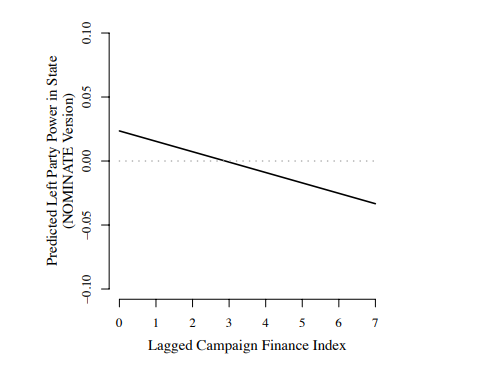 In this August 2012 paper, John Coleman and Timothy Werner test these claims by examining various campaign finance laws at the state level from 1977 through 2006. After analyzing three policy outcomes of interest to businesses and unions over three decades, the authors found the overall campaign finance regulatory regime had minimal effects on public policy outcomes both generally and specifically in regards to corporate and union independent expenditures. Coleman and Werner’s findings suggest that critics’ fears about the possible effects of Citizens United at the national level may be exaggerated. So What if Corporations Aren’t People?